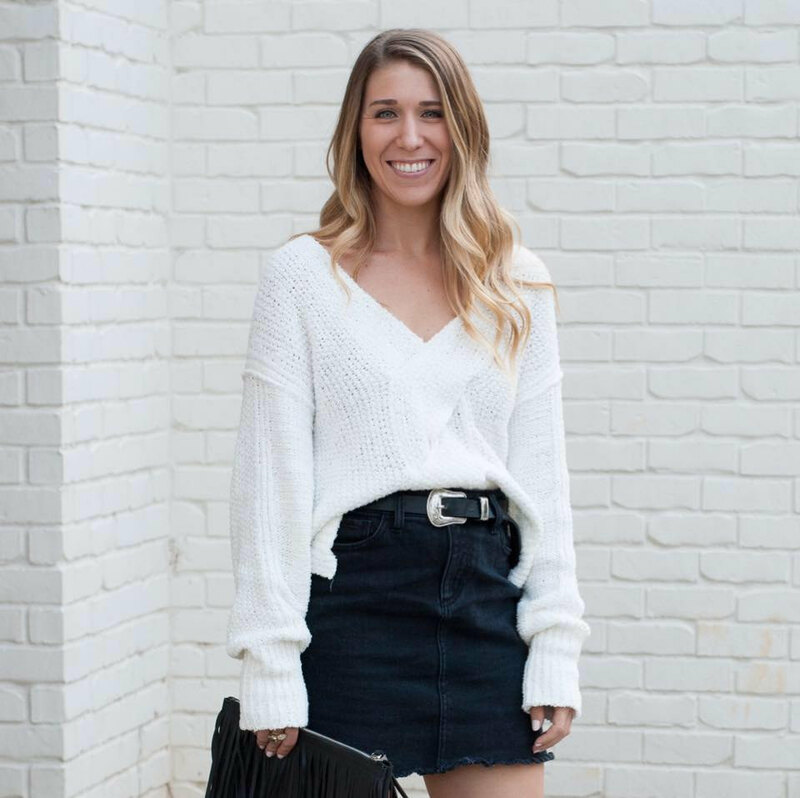 It is finally Fall, y'all! 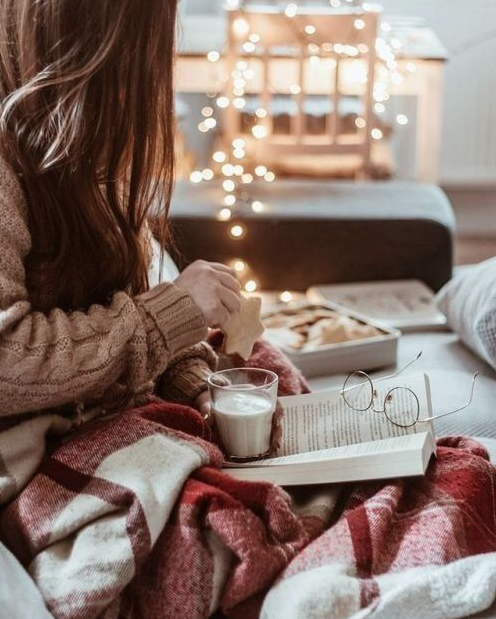 What better way to celebrate than with pumpkin pie? 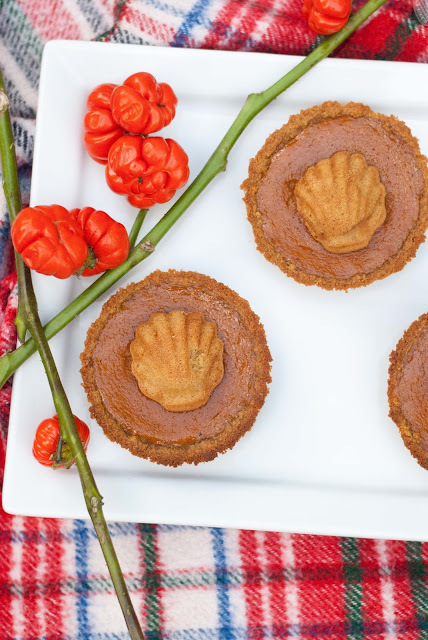 I've teamed up with Donsuemor to bring you these delicious mini pumpkin pies with pumpkin spice madeleine crust. These madeleines are absolutely amazing! They make these pies 10x better because they compliment it so well. They also bring a good amount of moisture to the crust to help it not get too crunchy. The pumpkin and spices really form a great combination of flavors that are basically heaven in your mouth. Since they are super simple, they are perfect to make for any of your upcoming Fall get togethers! Below i've broken it down step-by-step, but if you just want the recipe scroll all the way to the bottom. Have a great Monday! Step 1: Preheat the oven to 350°. 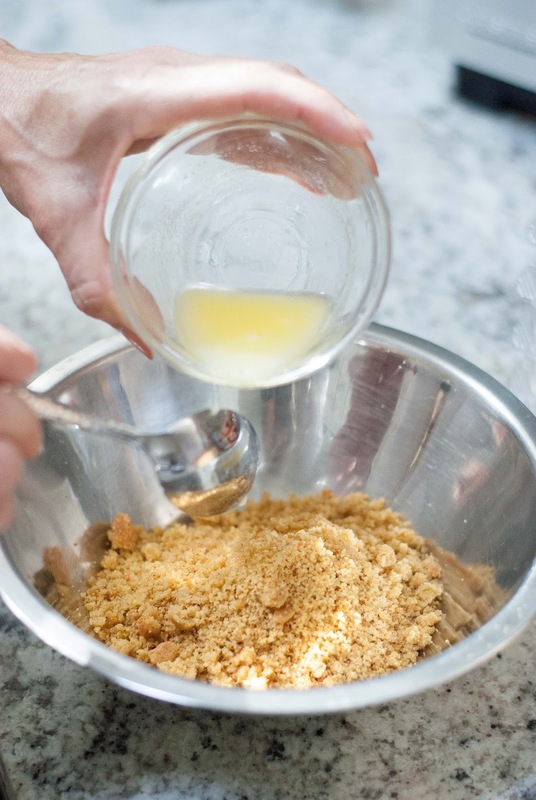 Using a food processor, pulse the madeleines until they become a crumb mixture. Pour the crumbs into a small bowl. Step 3: Add in the 2 TBS of melted butter and stir everything together. Step 4: Pack crumbs into 4 small pie pans with your hands. Make sure you put in enough crust so that it is sturdy. Step 5: Place the 4 pie pans onto a baking sheet. Cook in the oven for 8-10 minutes or until the edges start to brown. Set aside. 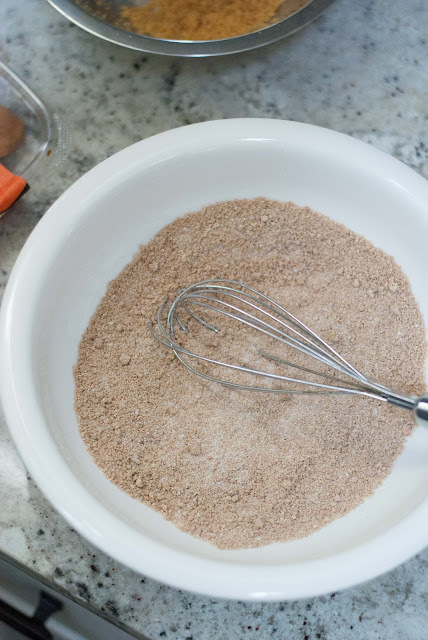 Step 6: In a large bowl, whisk together the sugars, flour, and spices. Step 7: Using a mixer, combine the egg, pumpkin, and evaporated milk. Step 8: Whisk the liquid mixture into the dry mixture until combined. *For more flavor, place in the fridge overnight. Step 9: Preheat the oven to 400°. Fill the mini pie crusts about 3/4 full with the pumpkin mixture. Step 10: Cook in the oven for 15-20 minutes, or until the mixture is set but still a little soft in the middle and the crust is slightly browning. *Be sure to watch it, because they can burn easily. I took mine out around 18 minutes. Step 11: Remove pies from the oven and let cool on a rack until completely set. 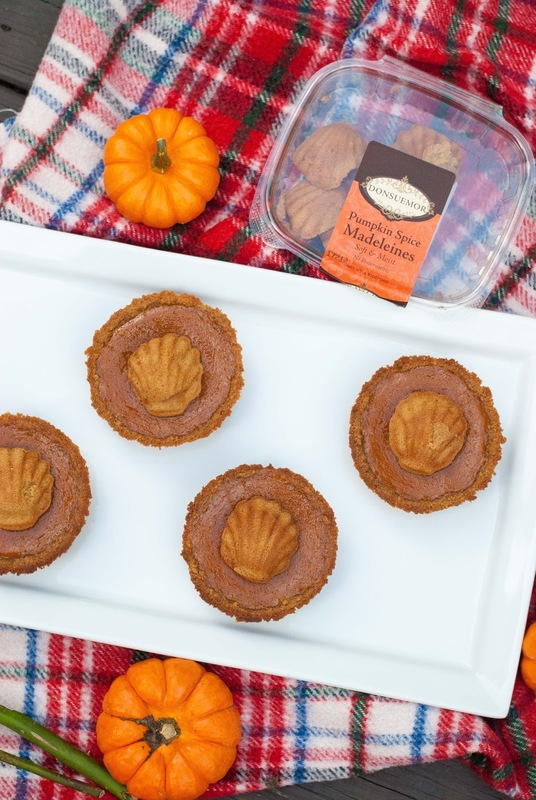 Step 12: Garnish with a Donsuemor Pumpkin Spice Madeleine and enjoy! 2. 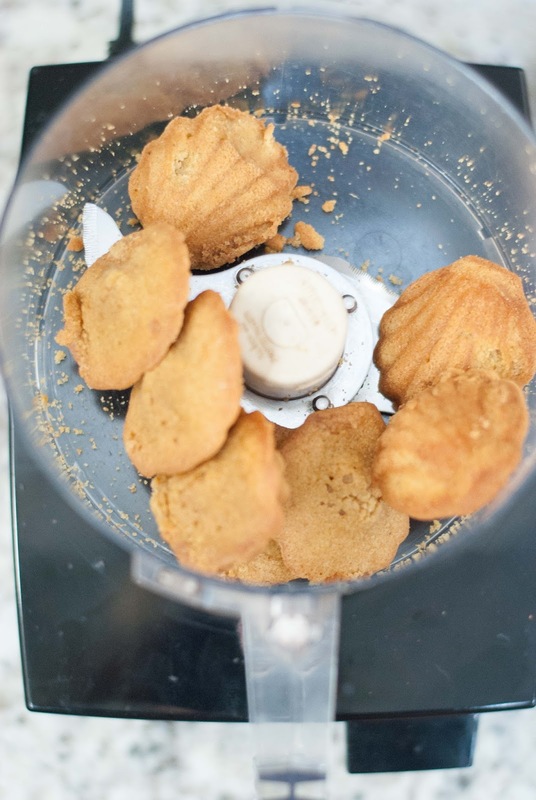 Using a food processor, pulse the madeleines until they become a crumb mixture. 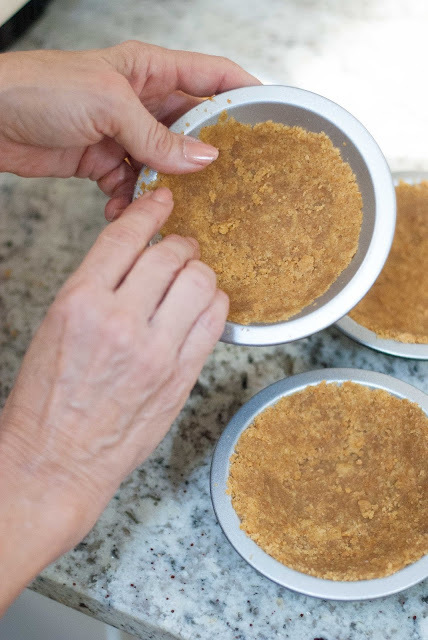 Pour the crumbs into a small bowl. 3. Add in the 2 TBS of melted butter and stir everything together. 4. 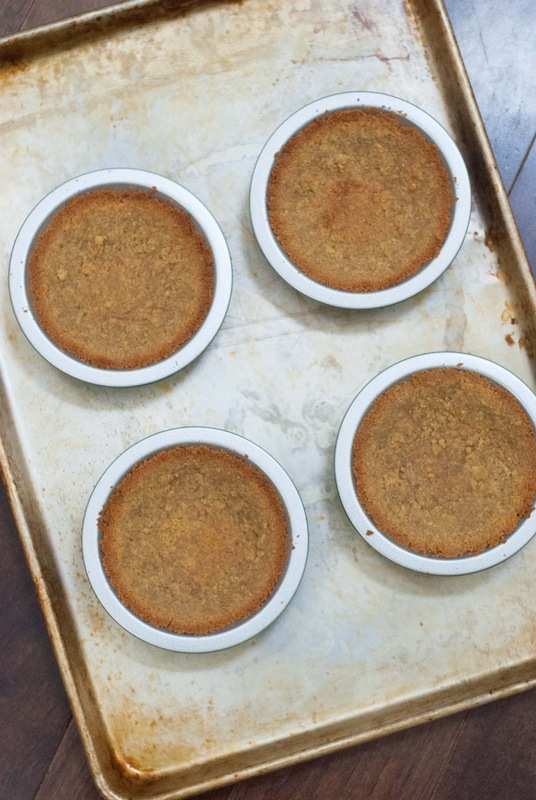 Pack crumbs into 4 small pie pans with your hands. Make sure you put in enough crust so that it is sturdy. 5. Place the 4 pie pans onto a baking sheet. Cook in the oven for 8-10 minutes or until the edges start to brown. Set aside. 1. 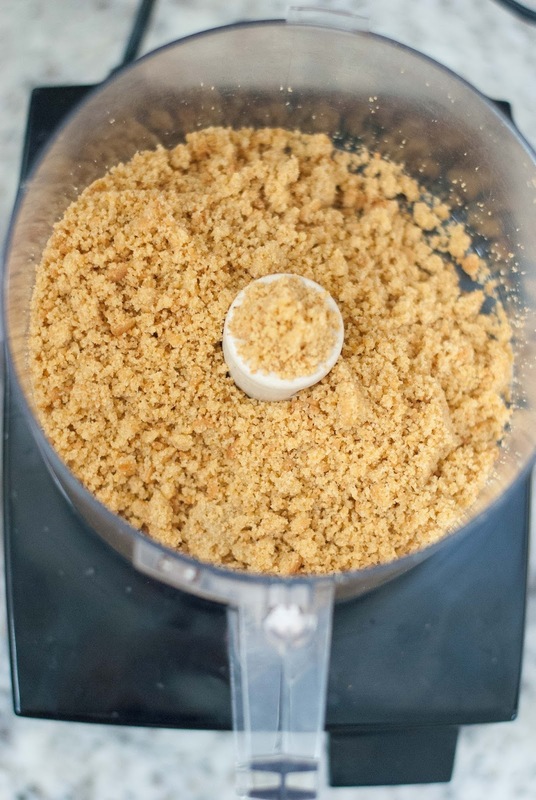 In a large bowl, whisk together the sugars, flour, and spices. 2. 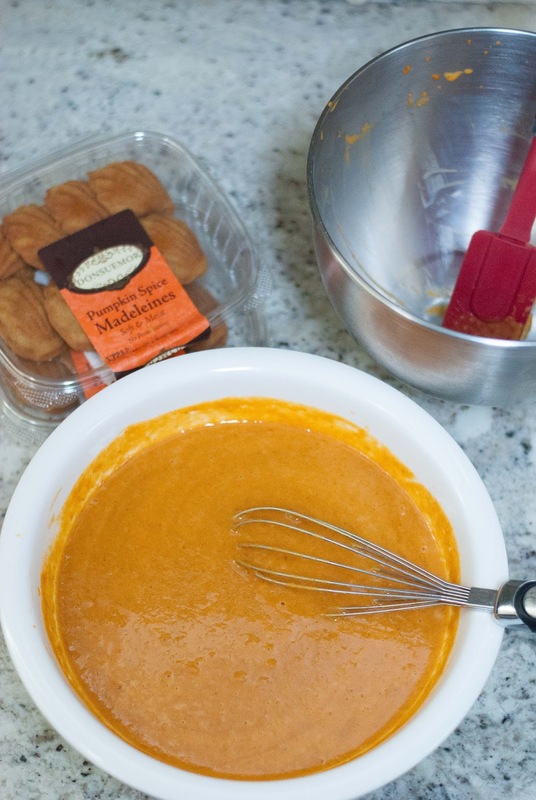 Using a mixer, combine the egg, pumpkin, and evaporated milk. 3. Whisk the liquid mixture into the dry mixture until combined. 4. For more flavor, place in the fridge overnight. 6. 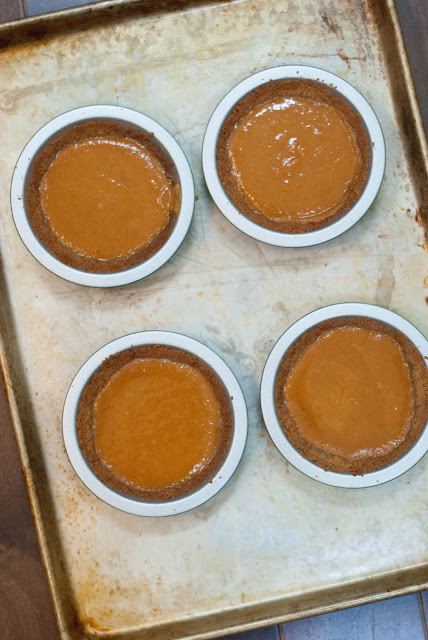 Next, fill the mini pie crusts about 3/4 full with the pumpkin mixture. 7. Cook in the oven for 15-20 minutes, or until the mixture is set but still a little soft in the middle. 8. Remove pies from the oven and let cool on a rack until completely set. 9. 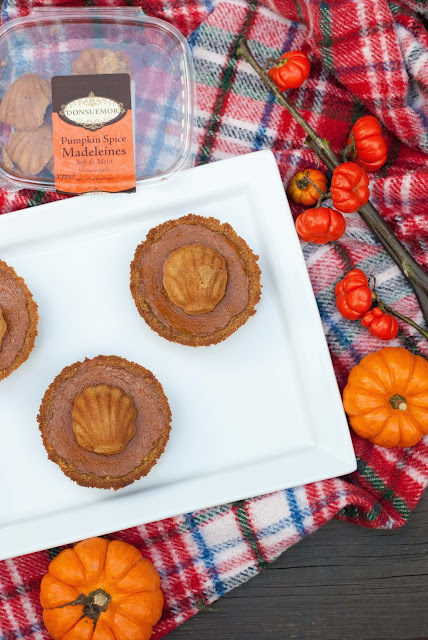 Garnish with a Donsuemor Pumpkin Spice Madeleine and enjoy!